many biblical characters from the Bible. our faith in God and the Bible. 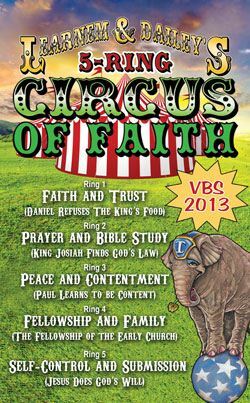 This years VBS will begin on June 9th and end on June 12th. The classes will begin at 6:30 PM and end at 8:30 PM. If you will need a ride or know of someone that will need a ride please call the church building at 918-443-2025. Aim: To learn th﻿e importance of having faith in God and trusting Him completely with our lives. Aim: To see the power of prayer and Bible study in our daily lives. Aim: To learn how peace and contentment can help us make it through the difficult times in our lives. Aim: To show the value and joy that can be found in true Christian fellowship. Aim: To see that, even in a world that teaches the opposite, we should always control ourselves and rely on God.